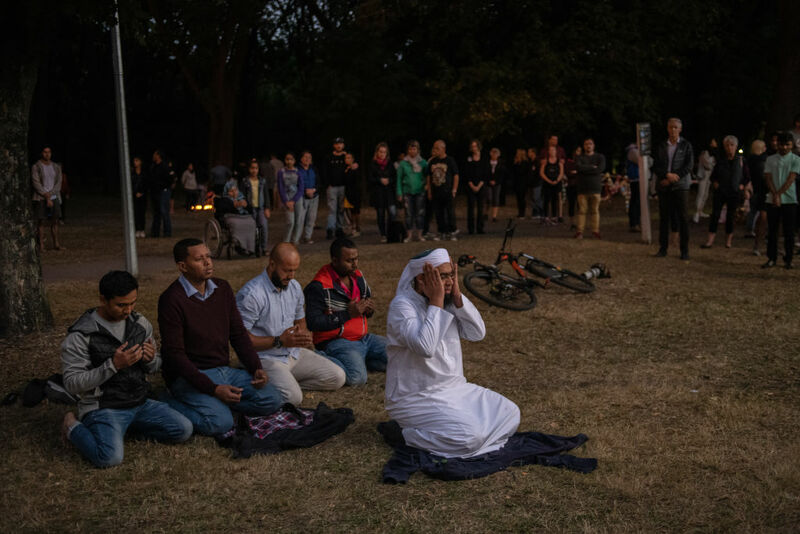 Enlarge / CHRISTCHURCH, NEW ZEALAND—MARCH 19: People look on as men pray in a park near Al Noor mosque after a terrorist attack that killed 50 people. Facebook says a livestream of last week’s New Zealand mass shooting was viewed fewer than 200 times during its live broadcast and that nobody reported the video to Facebook while the livestream was ongoing. “The first user report on the original video came in 29 minutes after the video started, and 12 minutes after the live broadcast ended,” Facebook VP and Deputy General Counsel Chris Sonderby wrote in an update posted yesterday. Ultimately, the original Facebook Live video of the terrorist attack “was viewed about 4,000 times in total before being removed from Facebook,” the company said. Video of the attack was uploaded many times after the original was removed, and a few hundred thousand videos were viewable on Facebook before being taken down.